Mold and mildew growing on your shingles? Roofing materials exposed to significant moisture can become vulnerable to mold growth, causing them to raise and rot, particularly on north-facing and shaded sections. 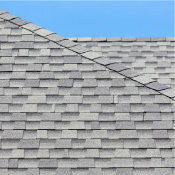 This can lead to damaged and deteriorating shingles and other roofing surfaces. Apply House & Deck Wash liberally using the hose-end sprayer. Allow to soak into target surface for 3-5 minutes, but do not allow the surface to dry. Scrub the area with a stiff bristle brush or broom. Rinse the surface thoroughly using the ‘Rinse’ setting on the hose end sprayer. 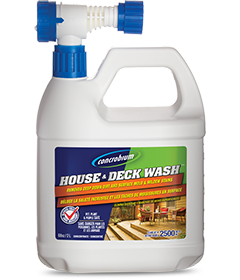 For tough, embedded mold staining on your roof and associated materials, apply Concrobium Mold Stain Eraser. This no-scrub solution contains no bleach, so it won’t discolor surfaces. 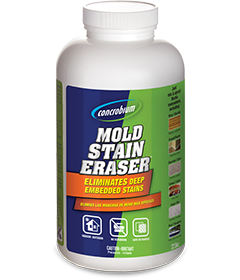 Click here for more information on using Concrobium Mold Stain Eraser.